COMIC BOOK WEDNESDAY! THIS IS WORDPRESS! TODAY: CONVERGENCE closes, new INVINCIBLE, new DEADLY CLASS, and I’m especially psyched about GARTH ENNIS’ return to MARVEL with the Secret Wars Battleworld tie-in, WHERE MONSTERS DWELL. Of course, when I read CONVERGENCE: SUPERMAN #1, I thought, “Wait, now this is SUPERMAN. I miss this Supes.” However, that singular tie-in issue (not #2) was the only tie-in series or issue I invested in emotionally. I feel as though DC COMICS wasted months on this not-crossover event. I’ve read about the scary loss of sales (-40%). The writing is totally on the wall. It didn’t work. Switching over to Marvel–SECRET WARS has been the opposite of ‘Convergence.’ (Brilliant.) Remember when DC said ‘Convergence’ would be catching up readers on some of their favorite of characters of the past? Great idea, but everyone’s in GOTHAM CITIES, there’s a dome over their heads… I mean, what? In PLANET HULK, we have SAM HUMPHRIES writing about CAPTAIN AMERICA and DEVIL DINOSAUR on, um, Planet Hulk. That works for me. In A-FORCE, we have a book comprised of the Marvel U’s strongest female protagonists (and She-Loki). Finally. And that’s only two simple premises. Marvel has brought out their best talent to sell fun tie-ins. 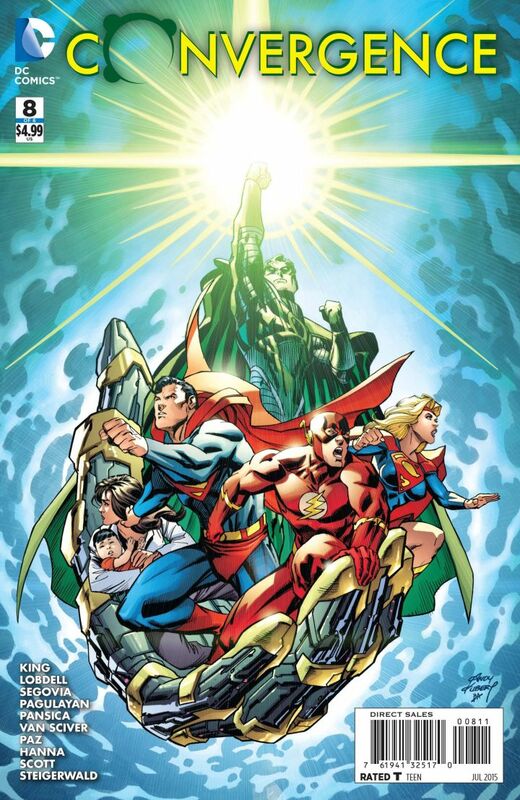 DC did not do that with ‘Convergence.’ There isn’t a Who’s Who of DC’s best talent. 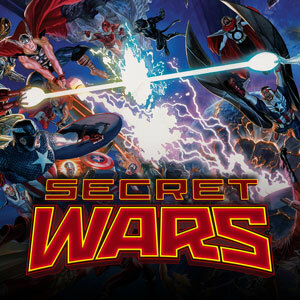 You look at ‘Secret Wars’ and all the tie-ins and we see BENDIS, HUMPHRIES, HICKMAN, ENNIS, YOUNG, DUGGAN, WEAVER, HOPELESS… I can go on. What has really blown me away in 2015? IMAGE COMICS. They’ve released some of the best reading material of the past few years in less than one. And some of these series are fresh–2 or 13 issues in respectively. I have been gushing about CHRONONAUTS. Other books like KAPTARA, TOOTH & CLAW, OUTCAST (out today), DEADLY CLASS (also out today), EAST OF WEST, and DESCENDER have been the sweetest breathe of fresh air any comic books have emitted into my reading nostrils in quite some time. This is my first blog in forever. I have more to say. I’ll think about doing this every Wednesday. I’m thinking about it right now. Off to A Comic Shop, until next time. Matt de Simone is the writer of the new, current MattyLovesComics blog. You’re reading it.